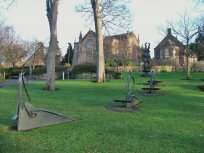 The Perth Sculpture Trail is a lovely walk in the centre of Perth which takes you through parkland and along the riverside, highlighting the city's beautiful architecture and contemporary art. You also pass both the Fergusson Gallery and Perth Art Gallery & Museum which you can visit for free. 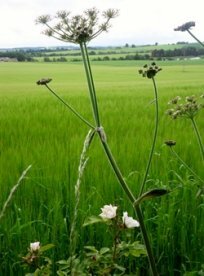 Near the Blairgowrie Golf Courses you'll find the Ardblair Trail and Bluebell Wood, which offers lovely views of the countryside. It is a circular walk that loops through Darroch Wood (with its bluebells in spring), past the White Loch and back to Blairgowrie. The "Wee Course" is the most beautiful 9 hole course one could ever imagine playing at Rosemount, Blairgowrie. There is a loch at the side of the 5th hole and then it winds back to the beginning. The Ardblair Trail is across the road from the "Wee Course". A little-known but perfectly formed 16th century castle, with a stunning location in an orchard right beside the River Tay. Four miles from Perth, 5 miles from Bridge of Earn. William Wallace is thought to have sheltered here. Dressing up clothes make it even more fun. 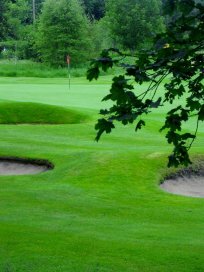 We have a fantastic 9 hole golf course on our Estate locally known as 'Perthshire's finest 9 hole' which offer special residents rates all year round. Visitors & children are welcome. 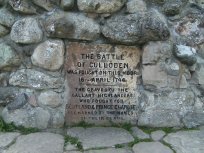 Culloden Battlefield is the site of the last battle to be fought on British soil. On 16 April 1746, the Jacobite forces of Charles Edward Stuart (Bonnie Prince Charlie) fought loyalist troops commanded the Duke of Cumberland. The final confrontation of the 1745 Jacobite Rising. 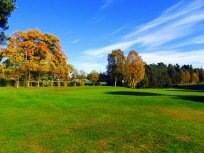 Play a round at Lansdowne Championship Course, Rosemount, Blairgowrie – home to the Junior Ryder Cup 2014 and a 40 minute drive from the 40th Ryder Cup venue of Gleneagles. Accommodation is available in Blairgowrie, which is 30 minutes to the Park and Ride at Perth for Gleneagles. 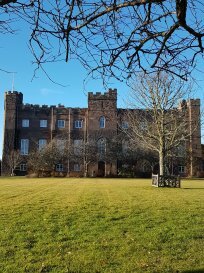 In Winter Scone Palace grounds are open, free of charge every Friday, Saturday and Sunday to the end of March. Normally the entry fee is £25 for a family ticket. In February, the lovely gardens become a white carpet of snowdrops. There's a maze, peacocks, play area. The cafe does great scones too. 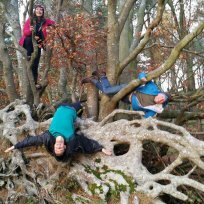 Described by Woodland Trust as "Perth's best-kept secret for family fun ..." Short trails, medium trails or long trails, it's up to you. There are 2 hill forts, great views, sculptures hidden in the trees, deer, birds of prey, trees obviously ...! Moncreiffe Hill never fails to lift the spirits. Park at the South Inch Car Park. The sculpture trail starts on the far side of the River Tay (signposted to the left once you cross the river via the pedestrian bridge shared with the railway line). See http://www.walkhighlands.co.uk/perthshire/perth-city.shtml and http://www.pkc.gov.uk/museums. From Blairgowrie Golf Club carpark, turn left along Golf Course Road & continue to junction with Perth Road. Turn right onto Perth Road & cross to the west side. Walk up incline by the field in the direction of Blairgowrie. Just before the Ardblair Trail sign on left, there is a gate & marked way. From Blairgowrie town centre, head south along Perth Road and take a left onto Golf Course Road. From Bridge of Earn turn right off the A921 following the road around Moncreiffe Hill, then turn right down a hill PH2 8QQ (follow brown Tourist sign). From Perth turn left off the A921 onto the Rhynd Road (aka Tarsappie Road). After 2 miles turn left down the hill. Pick up the signs for the A9 South signposted Perth. Turn left on to the slip road marked B9006 and at traffic signals turn right onto Culloden Road - signposted Culloden, Croy. Continue on the B9006 for approximately 2.5 miles and Culloden Battlefield is on your right. To reach Blairgowrie Golf Club from Perth take the A93 and follow signs for Scone Palace. Pass the Palace entrance, further on look down on the River Tay (popular salmon fishing spots at Cargill, Ballathie and Meikleour). Pass the famous Beech hedge at Meikleour. After 4 miles, turn at metal golfer. Take the A912 to Perth, then follow the River Tay on Tay Street. Turn right over Queens Bridge then left towards Scone. At a fork take a left to Old Scone. After 1.6 miles turn left on the driveway to Scone Palace. From the A912 at the North end of Bridge of Earn, take a minor road on the right immediately after the bridge (signposted Elcho Castle). Follow this for 1 mile, then turn left up a track signed Moncreiffe Hill. There's a small car park here. There is a second car park on the Perth side of the hill.